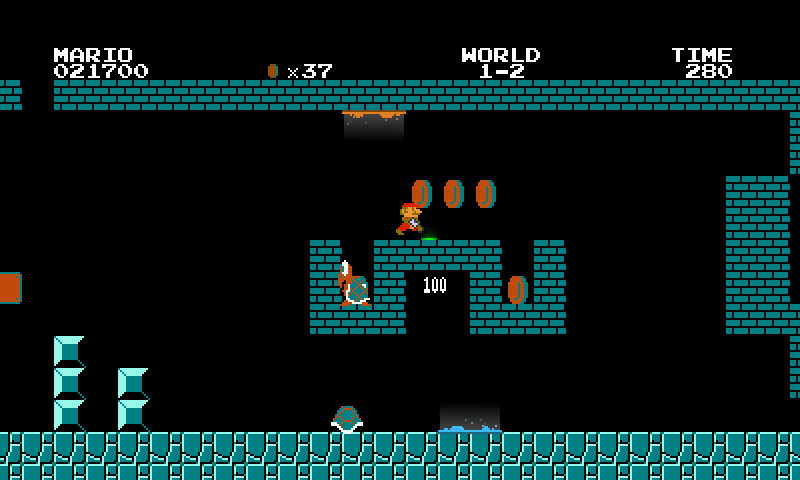 Two genre defining games from completely different eras: Nintendo's Super Mario Bros. and Valve's Portal. These two games managed to give Platformers and First-Person Puzzle Games a solid place in the video game world. 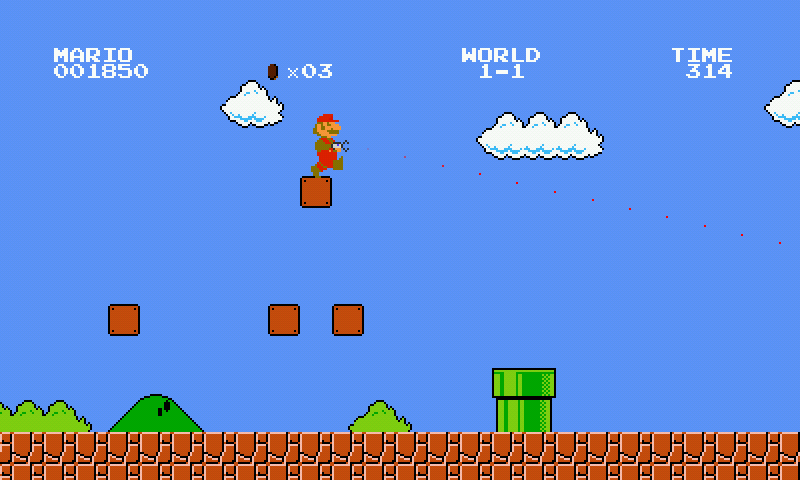 But what if Nintendo teamed up with Valve and recreated the famous Mario game with Portal gun mechanics? 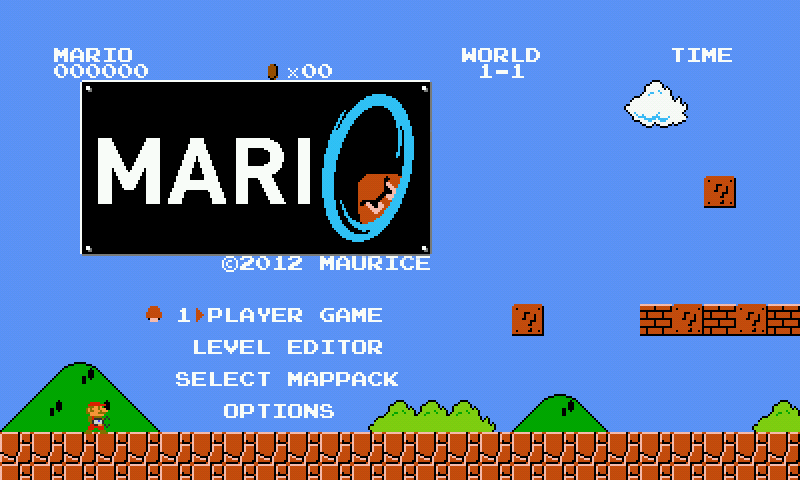 Here is Mari0, the Famous hybrid between the original 1985 Mario Bros and Portal. This one use lÃ¶ve 0.8.0 engine. compiled against lunixboch libGL (and the fixed SDL), it runs very well! I configured Pandora control in the the config file (the game is untouched). This is fun and goofy. I like it even though I have trouble with some parts. What a fortune! I was playing a week ago to mari0 thinking it would be funny on the pandora! Thank you ptitSeb! Brings back lots of memories! Game plays very smooth and graphics are very nice!